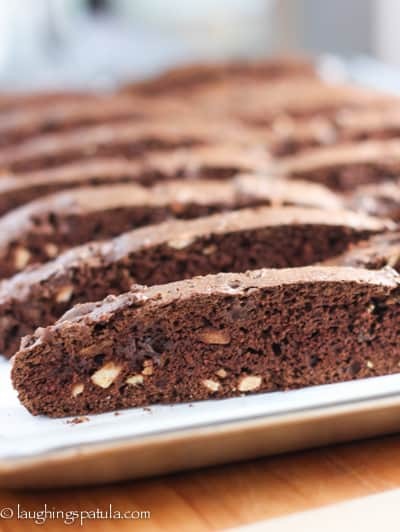 We love biscotti here and this is a fabulous way to get your chocolate cookie on! If you have never made Biscotti before you are in for a treat. Easier than traditional cookies and not overly sweet…my kinda of cookie! 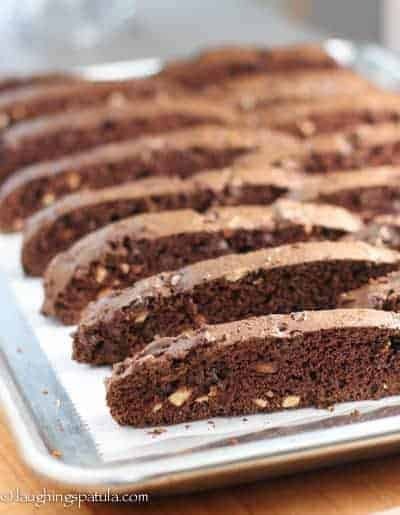 Biscotti – so impressive but easier to make than traditional cookies – there are tons of variations and you can bake to soft or crispy. 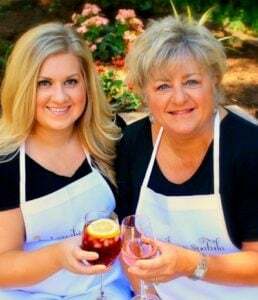 They look like you spent all day in the kitchen and they make perfect gifts! Well, guess thats it…no need to ever make another dessert besides Biscotti! (lets see how that goes, shall we?). I’ve made quite a few batches of biscotti in my time but needed a fresh take. I searched around and finally settled on David Lebovitz version. It looked perfect and I had all the ingredients on hand (a prerequisite for all my recipes since I do a whole lot of cooking in the early a.m. – no trips to the store with bad hair and animal print jammies – at the request of my local Safeway I might add). These were really lovely. They had a big chocolaty flavor without all the sweet that chocolate can bring. Being a savory girl, I really appreciate that. If your batter seems on the dry side, add a tablespoon or two of water before adding the chips. On the second bake – be sure not leave in longer than the recipe calls for. The cookies might feel moist, but they will firm up while cooling. 20-30 minutes tops. You can drizzle with melted chocolate chips after the cookies cool for a final touch! A crispy chocolaty cookie thats easy to make! In a large bowl, beat together the 3 eggs, sugar, and vanilla & almond extracts. Gradually stir in the dry ingredients. (if dough seems a bit sticky and dry - add a few tablespoons of water to thin out to the consistency of thick cake batter). Mix in the nuts and the chocolate chips until the dough holds together. Gently flatten the tops of the logs. Sprinkle the tops with the coarse or crystal sugar and bake for 25 minutes, until the dough feels firm to the touch. Once baked, cool the cookies completely then store in an airtight container for up to two weeks. If you wish, the cookies can be half-dipped in melted chocolate, then cooled until the chocolate hardens. Saw a lot of negative ratings here, but nevertheless tried the recipe as it didn’t look vastly different than a lot of recipes I looked at. I was nervous though about people saying it was too hard (although biscotti are supposed to be hard…that’s why you dip!). So seeing some recipes that called for half a cup of softened butter…I compromised and threw in a quarter cup of softened butter. Everything turned out great and I threw in half a teaspoon of clove powder, and half a teaspoon of cinnamon powder. I also didn’t have almond extract and used coffee extract instead. I got lots of compliments. I might try it again without the butter to see if that makes a difference, but I certainly don’t see the harm of throwing it in, if it helps make the biscotti a little softer. I made this biscotti yesterday and the results were not good at all. They’re like little concrete bars. They smelled great while baking but they’re basically inedible. I have a great biscotti recipe but it’s not chocolate. I’ll see if I can find something similar that does use cocoa. Hi Jen, I am so sorry these didn’t work for you! It’s a recipe from David Lebowitz (so lets blame him :). I checked, checked and double checked the ingredients and they are correct. I have other negative comments on this same recipe. I’ll remake this week and if it doesnt work, will adjust! Thank you so very, very much for taking the time to comment. The negative comments are as helpful as the positive ones! I made this biscotti recipe and ir was NOT good. I actually tried it again thinking I had made a mistake. Still not good. Comparing it to other recipes that I have made, this has no butter. Is that a mistake? They are like rocks. They look great and taste like rocks. Delete. Hi Nancy – I double checked the recipe (It’s a David Lebovitz recipe) and it all checks out. It is a firmer cookie, as you mentioned no butter…but it shouldn’t be ‘hard as a rock’. Sorry it didn’t work for you! I am in the process of making this biscotti. It looks wonderful. I have a question though. It calls for 3 eggs, but then it calls for another egg to brush the tops. The 4 th egg should be listed in the ingredients for the glaze along with the sugar don’t you think? Yup – I think you are correct and I’ll make the change! 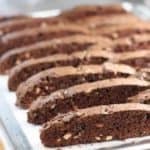 These biscotti look amazing, Kathi! I made biscotti a few months ago, but I might have to make these. Great post! Thank you Bill, for your lovely comment and for visiting! I made Lemon-Almond using almond meal at the same time and they were fabulous – I’ll post later this spring! Thanks Anne! It makes a ton of them and they last a good long week!